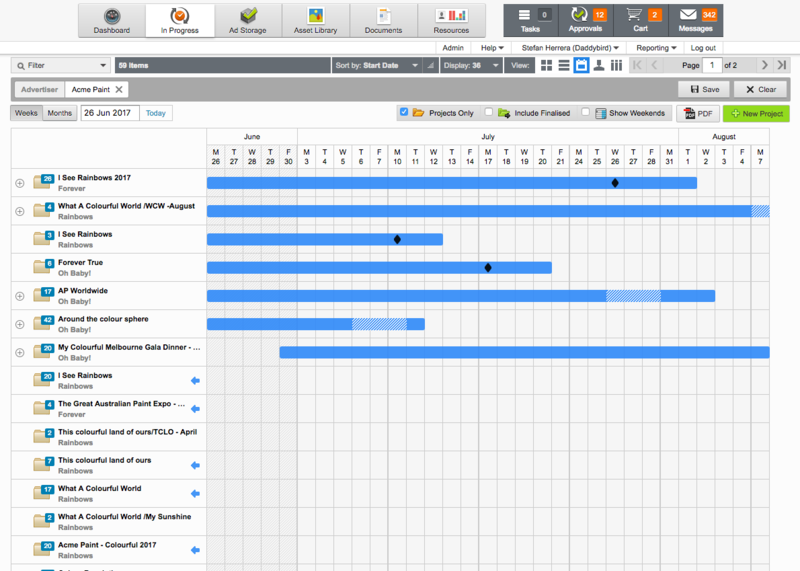 Admation’s Marketing Calendar allows marketers to view their projects In Progress either via a weekly, monthly, two monthly or three monthly calendar view. This feature enables more visibility over creative projects than ever before. Simply create a marketing campaign or project by entering in the key dates, and the project will be automatically displayed on the Marketing Calendar. When switching to the Calendar View, the list of jobs is automatically sorted by the Estimated Start Date. This means you can view all of the jobs starting soon at the top of the list.